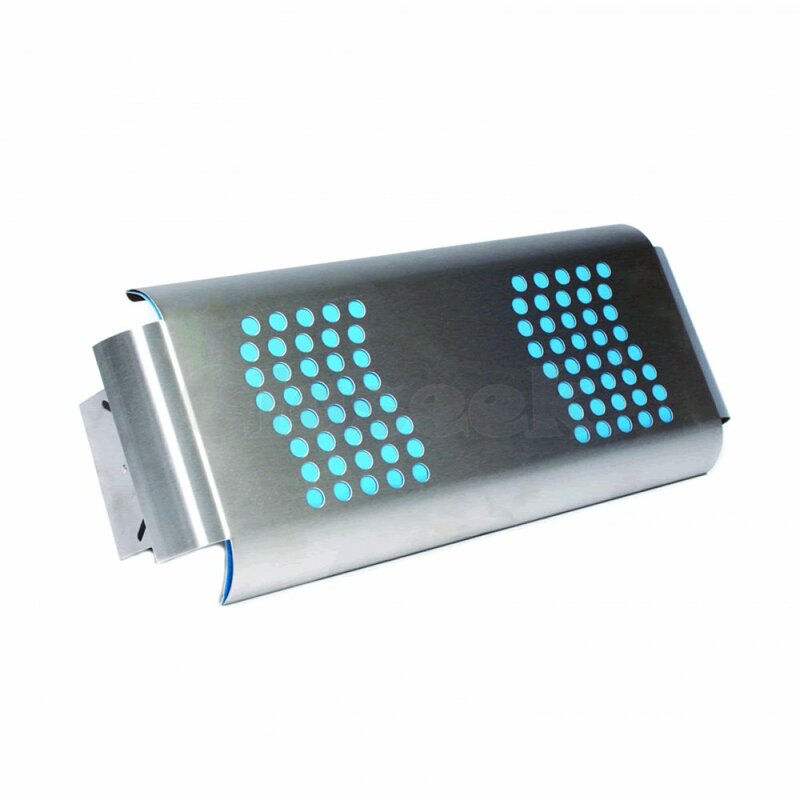 This stainless steel construction utilizes high energy saver lamps with UV light to attract the flies. Advantages of this entrapment system include: no annoying 'zap' noise, attraction and containment of all sizes of flying Insects and debris from exploding flies is thus totally eliminated. Its discreet 'glue' tray also makes it easy to replace, without tools. Coverage area ranges from 90sqm to 360sqm. Its stylish design makes it the most elegant way to solve the flies problems! For increased coverage; normally fitted in restaurants, supermarkets, reception areas and serveries whilst also being suitable for food preparation areas. High attraction energy saver lamp – no separate starter required. Aluminium construction for excellent corrosion resistance. Easy servicing - no obstruction to lamp or glue board. Dimensions : W585mm x H250mm x D140mm .